I first experienced Krav Maga in 2004. 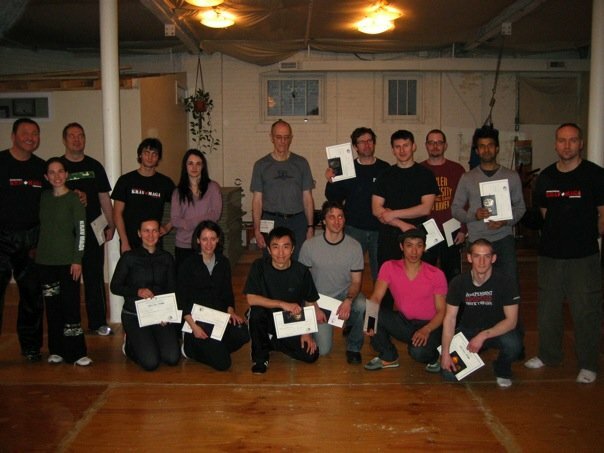 Laurent Mougeot, now our Canadian National Director, taught a hybrid class of karate and Krav Maga - more karate than Krav Maga at the time. 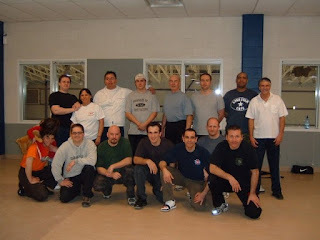 Laurent was an excellent teacher who encouraged our passion for self defense. 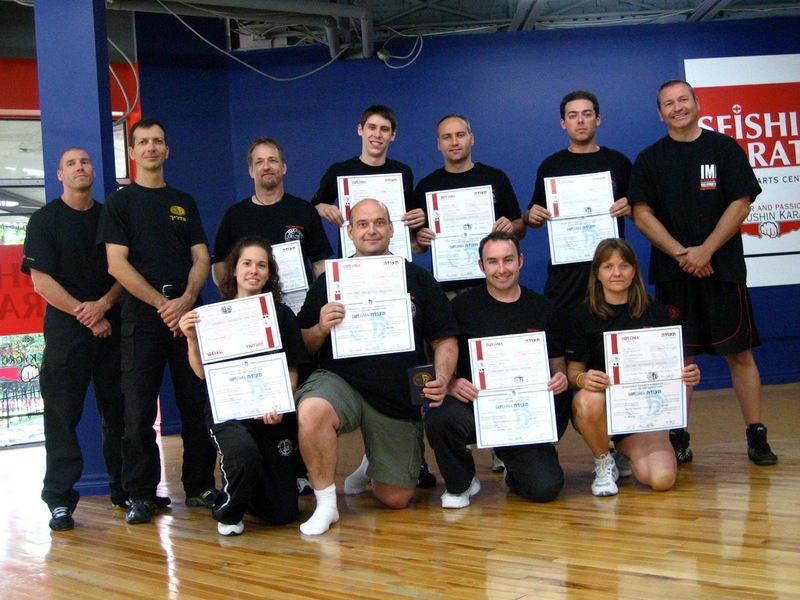 In 2005, a high ranking member of the IKMF at the time, Phillippe Kaddouch, visited Ottawa to offer a workshop. At the time, I was full time social worker with the Canadian Mental Health Association (CMHA) and a part-time PhD student (history) with aspirations of becoming a history professor. Little did I know that this workshop would change my career path. The workshop? In short, we were very impressed! Besides being extremely skilled, his exercises were all based on practical scenarios from knife threats to multiple attackers to defending ourselves from a chair. That year, one of his senior students, Thierry Cimkauskas, set up a school in Montreal and became IKMF National Director for Canada. Thierry offered some excellent workshops and as we became more immersed in Krav Maga we considered becoming instructors. In 2006 and 2007, Laurent Mougeot, Christopher Gagne, and Bella Motzen enrolled in the Civilian Instructor Course (CIC). It was one of the most challenging - physically and mentally experiences of my life, but also one of the most gratifying and exhilarating. The instructors, Avi Moyal, and Gabi Noah, (both of whom were granted Master's status by their teacher and the founder of Krav Maga Imi Litchenfeld) were excellent. In August of 2007 we earned our CIC certifications. In September 2007, Laurent continued teaching in Ottawa. Christopher Gagne and Bella Motzen began teaching courses at the Miles Nadal Jewish Community Centre (JCC) in Toronto. In February 2008, Christopher rented space at the Kapissisaan Centre in the Kensington market, beginning with one class Sunday afternoons. In September 2008 Christopher began renting space from Wuxing Martial Arts, then located at 25 St. Nicholas. Here, students began testing with Thierry. The larger space and floor mats gave us more teaching options. Students liked that we were 1 block away from the Wellesley subway station. Our classes grew from 1 to 3 per week. When Wuxing moved to 374 Dupont in January 2011, we went with them. Here, our classes grew from 3 to 8/week. 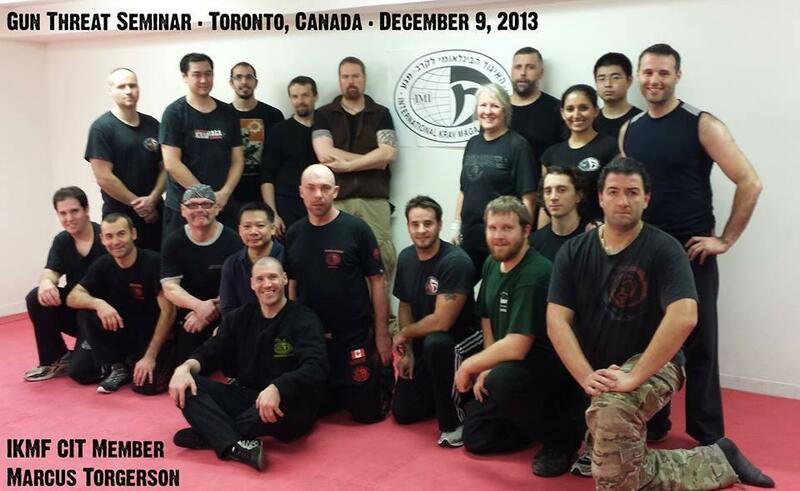 With both Wuxing and IKMF Toronto growing we decided to get our own studio. 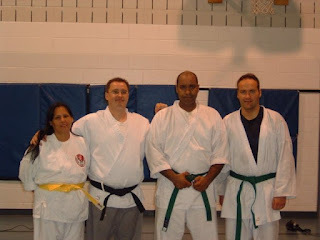 During this time, Henry Karabela became an instructor and opened a school in Oakville. In March of 2013, we moved to 2156 Yonge Street. The space was smaller but we were able to dictate our schedule, expanding out class offering from 8 to 14 including a kids class, a women's class, and an advanced class. The first year was a period of adjustment. 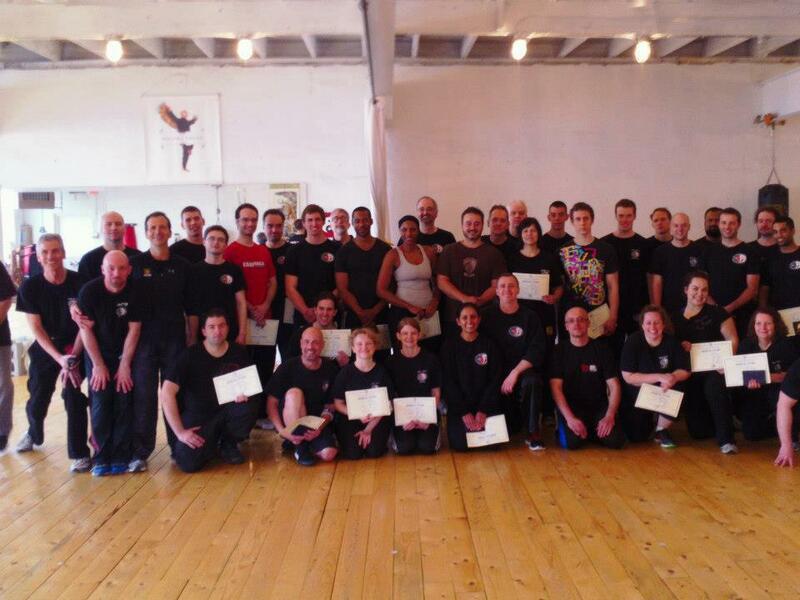 Every year since we have worked hard to improve our self defense training and every year we have grown. More important than numbers are the quality of people who train with us. Students are polite, welcoming and enjoy themselves. This makes teaching easy! As of 2015, we continue to grow and strive to improve our classes. Now we work as part of IKMF Greater Toronto Area (GTA), with training also offered in Oakville and Scarborough. From 16 students in 2007, we are approaching 200 active students in the GTA. We are excited about how far we have come and are even more excited about where we are going. 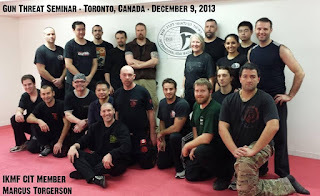 Watch for an upcoming blog on the short history of IKMF Greater Toronto Area (GTA).